Features: Igor has a very distinctive white collar. Most brown bears have these collars when they are still a cub, but it disappears when they are approximately 1 year of age. Igor's collar remained and it makes him look very distinguished! History: Igor used to live in a zoo in Georgia together with Diesel and Duuk. They were locked up in a small concrete enclosure. When the zoo was closed down due to lack of funding, a new home had to be found quickly or all three bears would have had to have been euthanized. Luckily Bears in Mind was notified and within several months the three bears moved to the Bear Forest. Special remarks: Igor got his name from the main character in a children's book. It tells the story of a cub named Igor that had to dance and had a terrible life until he was rescued and taken to a beautiful sanctuary for bears. The book was written by Rindert Kromhout. 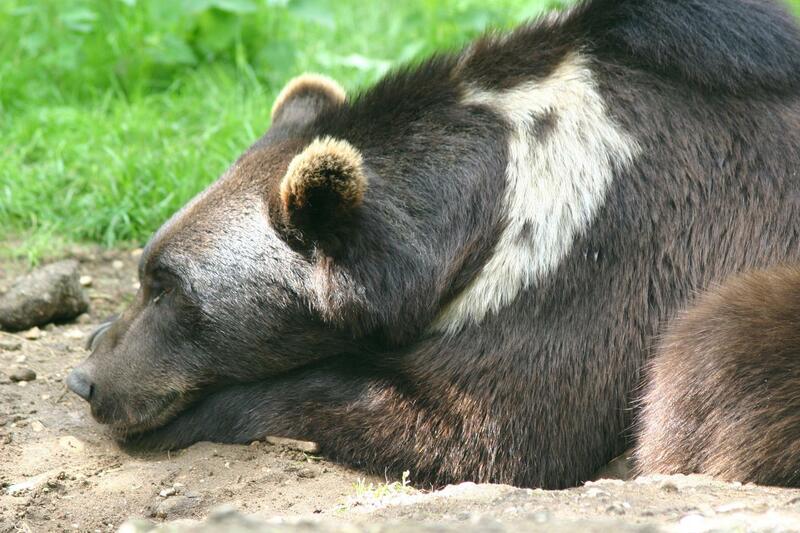 Starting from 1 March 2019 bear Igor has been adopted by an anonymous bear protector for another year!